If employees aren’t given the devices they need to be most productive, operational efficiency and user satisfaction will suffer, impacting the bottom line. One way to avoid productivity loss and unhappy employees is by providing multi-display desktops, which can boost productivity up to 18%. 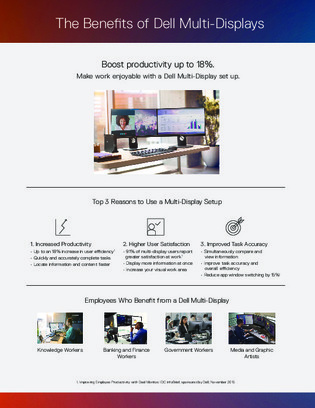 Download this white paper to learn about a suite of desktop displays designed to enhance productivity, and uncover 3 ways your organization could benefit.